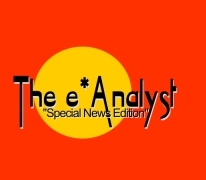 Whenever there is a critical change relating to Feed Your Hungry Mind this Special News Edition of The e*Analyst is broadcast to subscribers. This is the ONLY time this happens. This has meant that all data was "scrambled" and had to be reinstated. The effect of this malicious act on Feed Your Hungry Mind is that all our subscription data now has to be reorganized. As FYHM has many autoresponder links to different information throughout its system we now have a problem and need your help. You'll be resubscribed to the message set series again. AND... as soon as all the message sets have been completely reinstated you'll begin receiving these messages again. * an eReport, "Reach Millions For The Cost Of Your Words." These download links can be found at the end of the page. 2. What's An Idea Worth? 3. Setting Up A Commercial Web Site. 4. Web Site Design - The Crucial Elements. 5. The Critical Role Of Web Copywriting. 6. Finding A Product Or Service To Sell. 7. Creating A Product Or Service To Sell. 8. Getting Paid - ECommerce Explained. 10. Web Site Promotion - The Techniques. 11. Traffic Building & Strategic Relationships. 14. The Interviews, Articles And Archive Files. PS... The bi-weekly broadcasting of The e*Analyst ezine will resume next week.